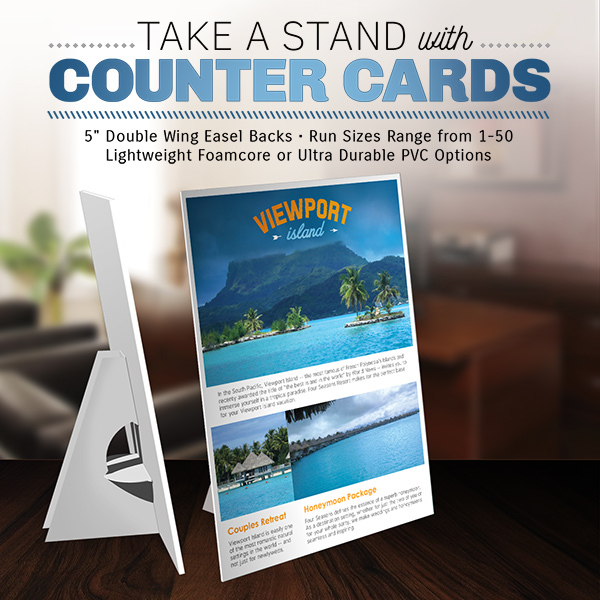 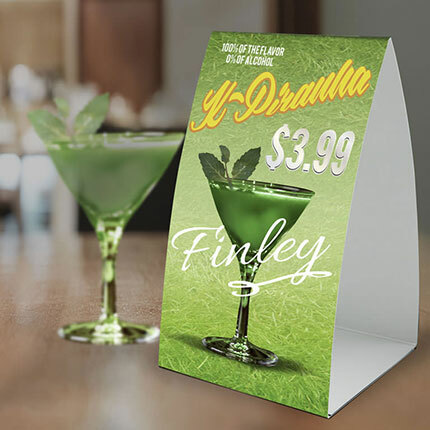 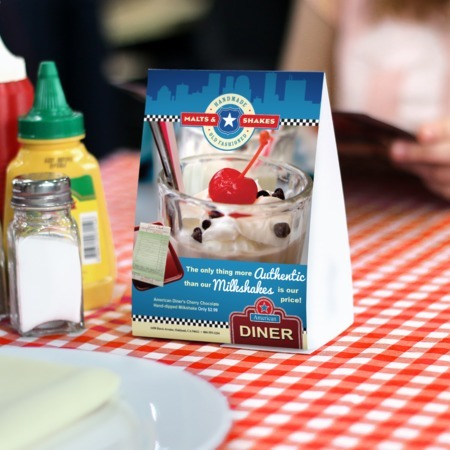 Advertise directly to your customers with premium quality Custom Printed Table Tents! 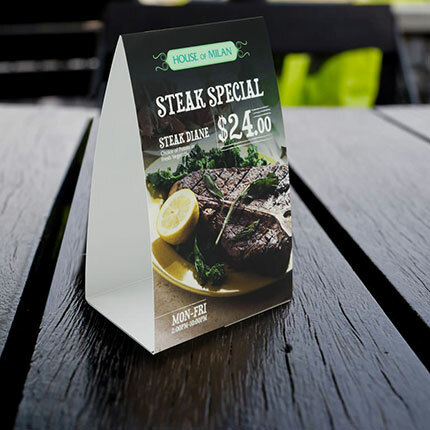 Ideal for special promotions, restaurant menus and more, our Table Tents allow you to communicate with your customers effectively. 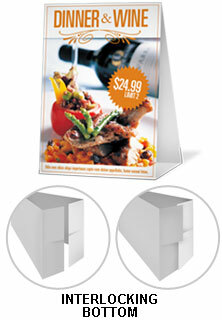 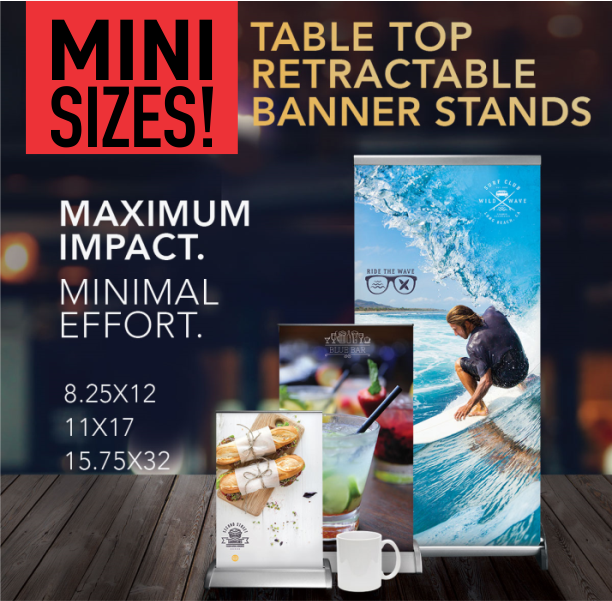 Easy to assemble, they’re shipped flat and come in popular sizes.